TOKYO, Nov 7, 2018 - (JCN Newswire) - GAC Mitsubishi Motors (GMMC) is to start sales of the new Eclipse Cross in China. GMMC is a joint venture between the Mitsubishi Motors Corporation, Guangzhou Automobile Group (GAC) and the Mitsubishi Corporation. The Eclipse Cross is a global strategic model with a fusion of original, sharp coupe looks and dynamic SUV mobility with signature Mitsubishi styling and performance. Mitsubishi Motors Chief Executive Officer Osamu Masuko said: "China is one of our most important markets and with the introduction of new, locally-produced Eclipse Cross, we will boost the number of sales units and will establish a firm foundation for growth in the Chinese business." 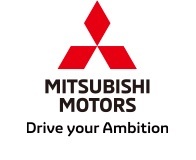 In the Mitsubishi Motors three-year DRIVE FOR GROWTH strategic plan, Mitsubishi Motors aims to have further strengthened its operations across China by more than doubling the sales units as well as its dealer network by 2019, compared with 2016 levels. The company will also focus on expanding its Chinese business with a range of SUVs, among others. Based in Changsha, Hunan, GMMC was formed as a joint venture company in 2012 between Guangzhou Automobile Group (50% ownership stake), Mitsubishi Motors Corporation (30% ownership stake) and Mitsubishi Corporation (20% ownership stake). GMMC has 4,100 employees, and serves as a sales and distribution platform for GAC and MMC-branded vehicles in China. The company has an annual production capacity over 270,000 units per year between the Mitsubishi Motors Eclipse Cross, ASX and Outlander SUVs, as well as the GAC Eupheme and Eupheme EV GMMC maintains over 300 sales and service locations across China.